The India-made Tata Hexa is available in Nepal in the range-topping XT 4x4 trim with only a manual transmission. 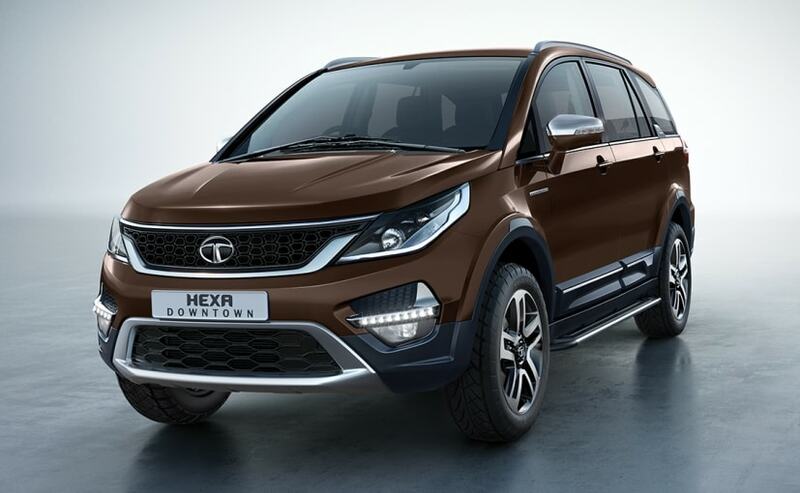 Tata Motors has announced the launch of the made-in-India Tata Hexa is Nepal. The crossover has been launched at a price of NPR 77.95 lakh (around ₹ 48.75 lakh). The hefty price tag is obviously due to the currency exchange and Nepal's local taxation on fully imported vehicles. 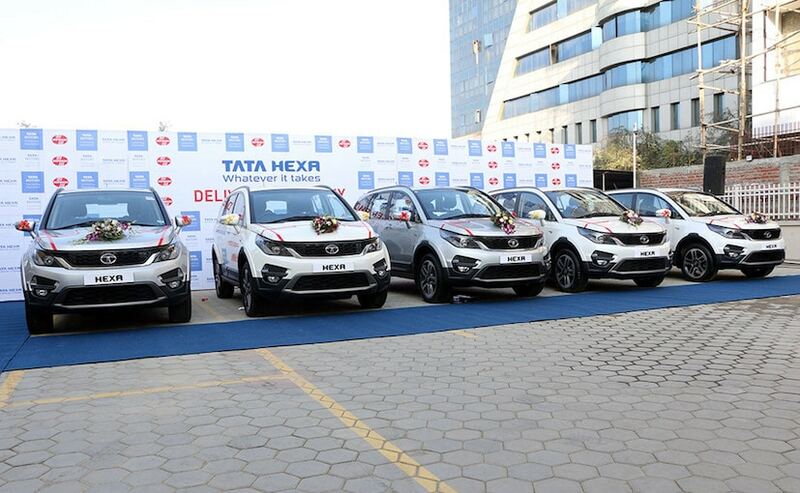 The retail operations of the Hexa commenced in the neighbouring country in the presence of Tata Motors, CEO and MD, Guenter Butschek, who handed over keys to first batch of 11 customers. The Hexa was introduced in India earlier this year and is the automaker's new flagship offering. Commenting at the launch ceremony, Guenter Butschek said, "At Tata Motors we have always been at the fore-front of providing a rich and dynamic product experience to our customers through our product innovations and the new Tata Hexa reinforces this commitment. 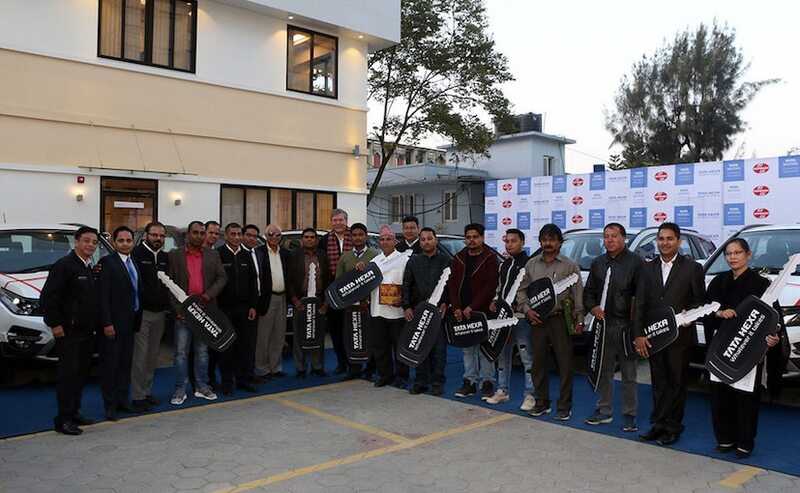 We understand that our customers in Nepal are aspiring for more stylish, lifestyle oriented products and the Tata Hexa is an important step in catering to these emerging customer needs. We are confident that this complete package will be an instant hit in a highly popular but immensely competitive segment and will surely excite the new-age customers of Nepal." Tata Motors is offering the Hexa in Nepal in only the range-topping XT 4x4 variant with only a manual transmission. The SUV is powered by the 2.2-litre VARICOR four-cylinder diesel engine tuned to produce 154 bhp and 400 Nm of peak torque. The oil burner is paired to a 6-speed manual gearbox. India also gets an optional automatic transmission on the Hexa. The crossover comes loaded with a host of features including a touchscreen infotainment system, automatic climate control, 10-speaker JBL audio system and much more. Tata also offers multiple driving modes on the model called 'Super Drive Modes' and can be activated using a rotary knob on the centre console. The Super Drive modes allow the driver to seamlessly switch between four different driving modes - Auto, Comfort, Dynamic and Rough Road, which changes the dynamics of the crossover depending on the driver or the terrain. Other features on the Tata Hexa include automatic headlamps with projector lens, LED taillights, 19-inch alloy wheels, six airbags, ABS with EBD, Traction Control, Hill Hold and Hill Descent functions and much more. You alo get new-generation Electronic Stability Program (ESP) and Torque on Demand (TOD). In India, the Tata Hexa is offered in a total of six variants and is priced from ₹ 11.72 lakh for the base XE 4x2 trim, going up to ₹ 17.19 lakh (all prices, ex-showroom Delhi) for the top-end XT 4x4.